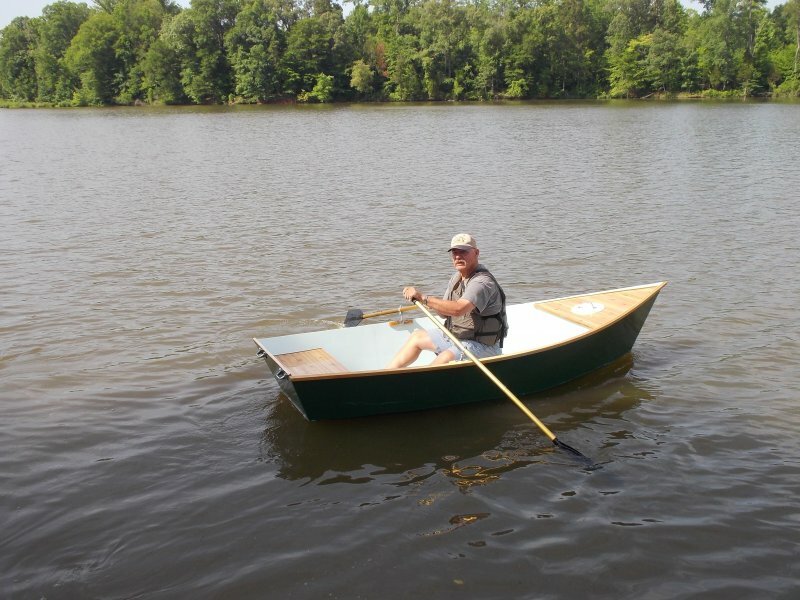 I was having difficulty getting out of my SOT kayak and needed a small skiff to row around the lake near my house. 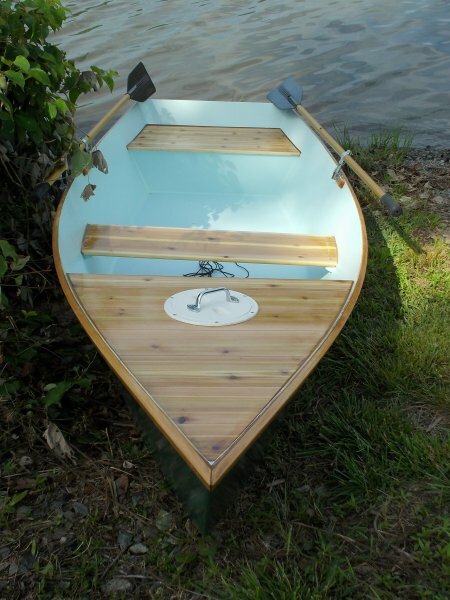 I wanted something I could put in the back of my S10 pickup, so I chose the Hannu 10 1/2 foot skiff. I have always liked the looks of cedar wood so decided to make all seats decking and rub rails of cedar. Seats and decking OK rub rails need to be of harder wood, But the boat does look good in the water. The high sides compared to the kayak are a breeze.